Anthony Romano serves as Chief Revenue Officer of First American Mortgage Solutions, a primary provider of collaborative and customizable data, analytic, valuation, title, settlement and fulfillment solutions for loan origination and servicing. In his position, Romano is primarily responsible for aligning the company revenue strategy with corporate objectives including what markets to enter, what clients to serve, what solutions to build, and what distribution channel to utilize. Prior to First American, Romano spent 10 years at CoreLogic Inc., a leading data and analytics company most recently as SVP Global Mortgage Solutions. There he was responsible for a group with over $1 billion in revenue. During his career Romano has held sales & marketing leadership roles and business development charters with IBM, International Business Systems, and CustomerLink Systems. 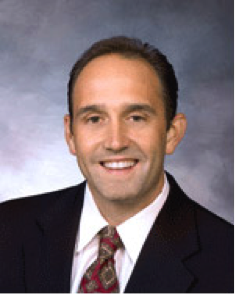 Romano holds a bachelor’s degree in business management from Sacrament State University.